Where should we go to experience wearing Kimono? Where to go for wearing kimono experience in Kyoto? We can see many tourists wearing kimono in Kyoto. They are so cute in kimono and lightens up the city. By the way, most of the kimonos available for kimono rental shops are made of polyesters. It’s useful to wash at home and keep clean in summer also. But the tones of kimonos made of silk are quiet and very beautiful as well as the touch is really different from chemical fibers. I hope a lot of people find its real beauty and comfortable touch. I researched the shops you can borrow high quality kimonos. They are especially proud of their retro and antique Kimonos that fit perfectly in the setting of the old capital’s streets. People on the streets told their customers they do not look like tourists at all! The reason for that might be found in the Kimono being mostly charming, antique and made of expensive silk, which you would hardly expect to be found in any rental shop. Tekuteku plan is 4980 JPY. By Taxi, get off at the bus stop “Shijô Nishinotoin”(四条西洞院),it takes about 10 minutes by taxi. Please return to the shop by 7:00pm. The traditional craftsman for dying kimono manages this lending kimono shop, “Kitamura”. 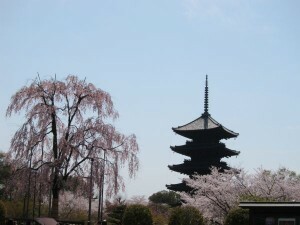 They have more than 200 varieties of rental kimonos and yukatas (casual cloth for summer). Their way of tying “obi” is the most popular style called “Taiko”, which means a drum. I sometimes feel a little bit unnatural to see most of tourists tie half width “obi”, which tying style is not for kimono but for yukata. The half width obi is easier and faster to tie, but “Taiko” seems more refined. Kimono rental sets are available from 5400 JPY including hair set. 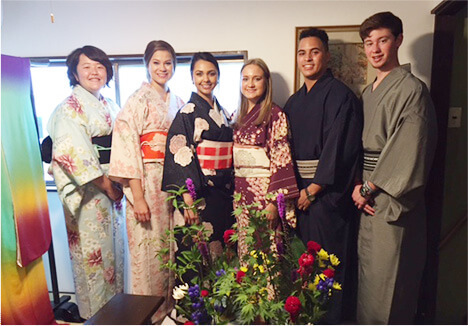 Miyabi Yuki is a nonprofit organization working to preserve and promote kimono culture in Japan and abroad! 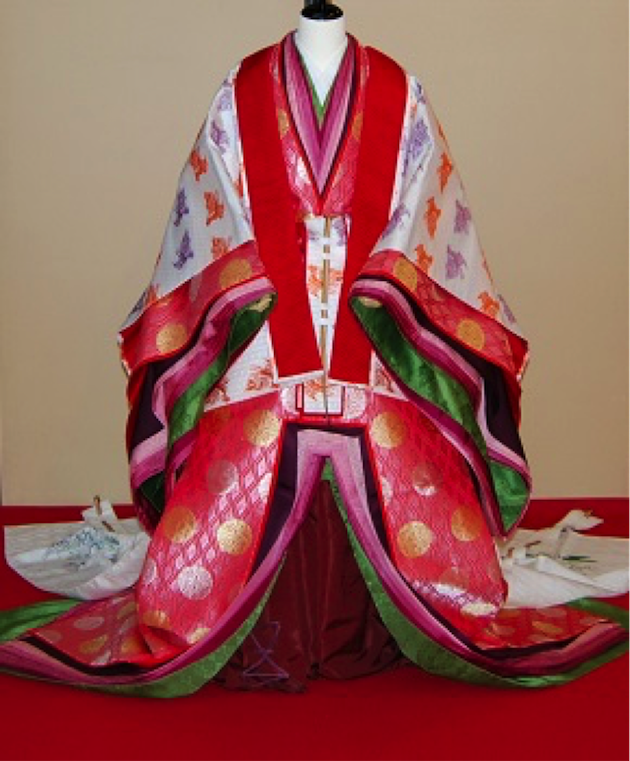 They have the plan for Junihitoe, which is the traditional costume that royals wore in Japan long time ago. I’ve also tried wearing Junihitoe. It was heavy but the way of wearing is very interesting. They do not use many strings, but only one at last. It takes time to wear but easy to take off. They also have Formal Kimono Photo Sessions for Japanese wedding. It is available from 12800 JPY. Please check here as well to get a coupon ticket. English Reception is except Sunday and Tuesday. 5 minutes walk from Karasuma Oike subway station. Let’s go to tea ceremony wearing kimono! Of course, it’s OK to come in western style clothes, but if you wear kimono in a tea room, you can feel Japanese culture more. We are not Kimono rental shop, but guests of tea ceremony can wear kimono here. We can lend kimono (chemical fibers) and sash made of silk in 3000 yen per person. If you would like to wear gorgeous silk kimono, we can prepare the special one. Please ask by e-mail.